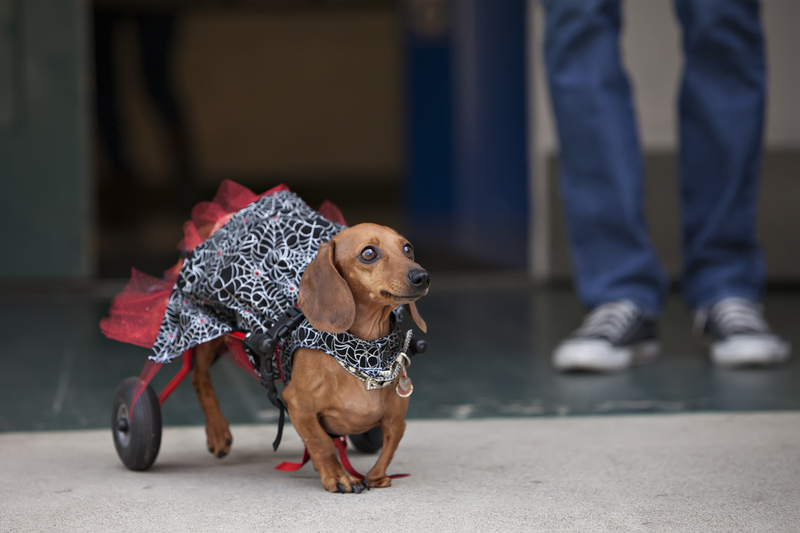 When I was at Enslen School’s Halloween parade one of the parents had her dachshund dog with her. This was no ordinary dog. Yes, she was dressed in a Halloween costume, but that wasn’t what got my attention. 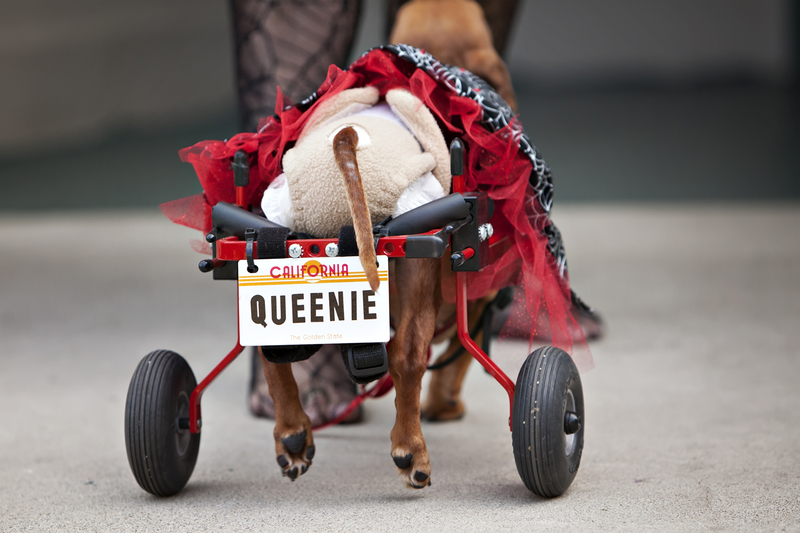 Queenie was in a wheelchair! This little dog was born with a deformed front left paw. If that wasn’t hard enough for her, the poor little thing was stepped on by a very large dog causing no use of her back legs and the need to wear a diaper. Her owners at the time didn’t know what to do with her so she was just kept in a crate. I don’t know the story of how Queenie’s new mama, Wendy, got her, but what a blessing for Queenie! At first Wendy carried Queenie around in a front baby pack. 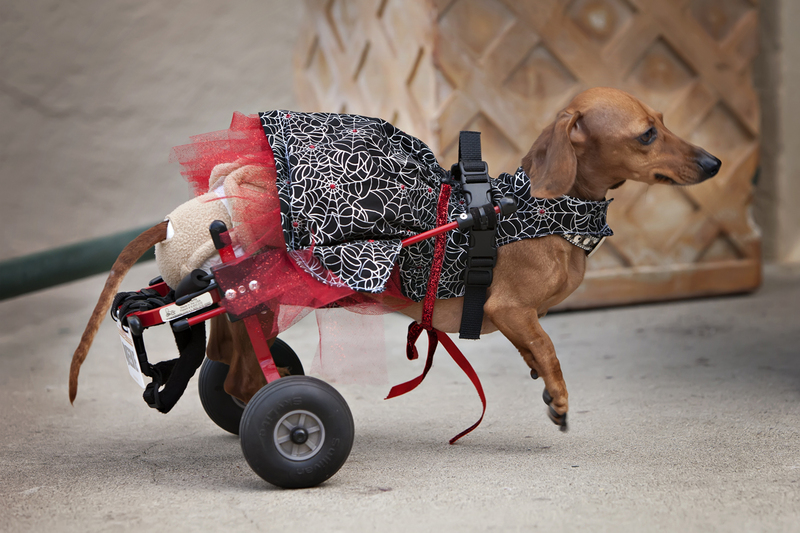 But after researching online she came across a company that made wheelchairs for dogs. 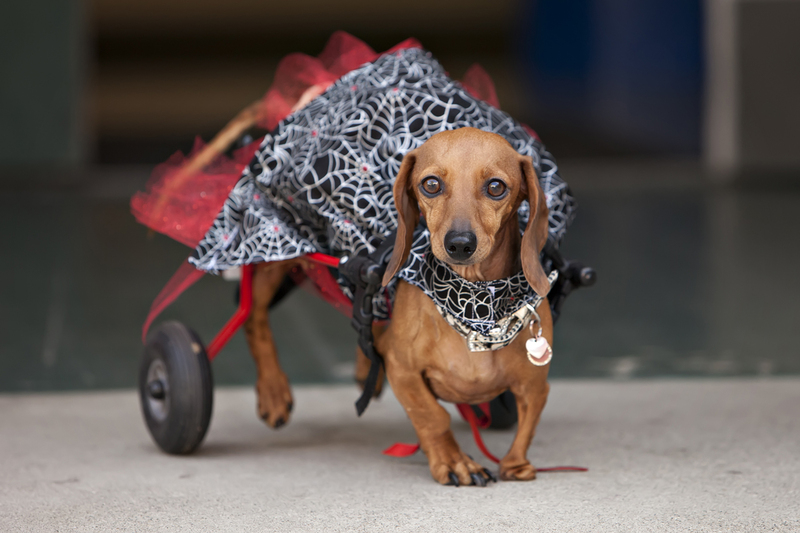 It truly warmed my heart to see this little dog run around completely unaware of her disability. If anything she gets more positive attention and love because of it. She was running down the school halls almost as fast as any other dog her size. There are a lot of Queenies in this world… They may not be ‘perfect’ by our society’s definition, but they have a lot to offer and deserve to be happy and loved. And I’m not just talking about dogs. Love the story and your final sentence. We all just want a little love. I love seeing “disabled” dogs and cats. They don’t act any differently because neither they nor the other animals think they are any different! I’ve always said the human race could learn a lot from dogs… I love this blog posting.